Filter concept designed to provide solutions to every industry for filtration. We are the designer of filtration system as per industries requirements. We have our own internal expert designer team which caters various types of designing and solutions as per patron’s requirement. 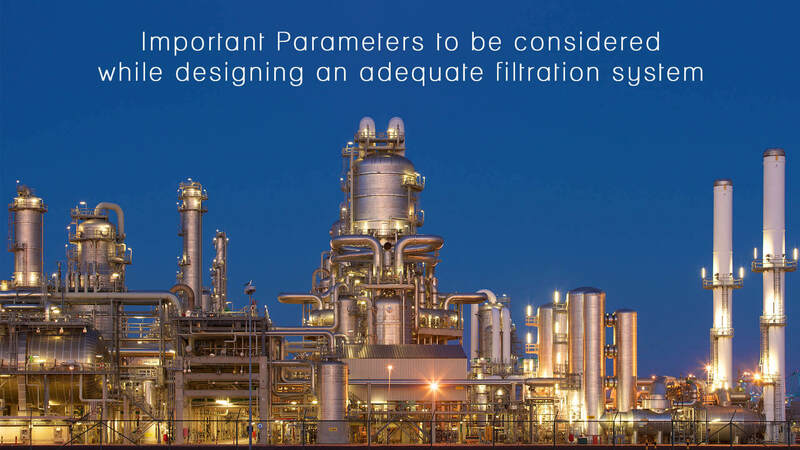 Some important parameters need to be considered while designing an adequate filtration system. Flow rate is important parameters which help any designer to select overall sizing of filtration equipment whether it is Air, Gas or Liquid. Working pressure is again an important parameter which derives the desired thickness of equipment to ensure that design of equipment is mechanically safe. Like pressure temperature is also an important parameter where one is has to ensure that for this temperature range this material is suitable for the application. Majority of designer are failed to design a system because they do not consider Suspended Solid load in designing process. Any fluid which we talk about liquid, air or gas this has wide range of Suspended Solid particle which normally needs to be retained during filtration. Based on that Suspended load designer has to design sizing and filtration area of internals which are used within the filtration system. Normally all filtration systems are closed loop system so any fluid which enter into system its velocity should be moderate so that internals are not get damaged. So while designing a system velocity need to be consider and if there is a high velocity designer has to provide a baffle plate to restrict direct impact on internals. Filter material must be compatible with the chemical nature of the liquid being filtered under the conditions that the filtration will be performed. This will minimize the risk of structural failure during filtration. Normally chemical compatibility plays a major roll for selection of equipment material, for selection of internal material, for selection of gasket material. Each fluid has different characteristic at different temperature. So designer has to be careful while selecting specific filter media, filter body and gasket at the time of designing of filtration system. While designing a system one has to be sure about the allowable differential pressure. What could be the maximum differential pressure which system should sustain. Since we talk about the filtration we have to be very sure about the outlet requirement and for that filtration rating is an important parameter. For selection of filtration internals it plays a major roll because in any filtration application we may come across different nature of contaminant which is like free flowing, slimy, sticky. So while designing system one has to consider this parameter.